Date/time: Sunday, July 28, 2019 / 8:00 a.m. – 3:00 p.m.
Fore! Golfing for Greyhounds is back on July 28, 2019, in Cottage Grove. 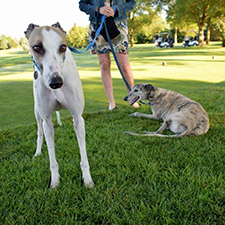 Dust off your golf clubs for a day on the greens to benefit Greyhound Pets of America-WI. Check back later for more information!